In its 235-page report, the Comptroller and Auditor General of India pointed out that the expenditure could have been avoided if functions were not held to distribute the dole. 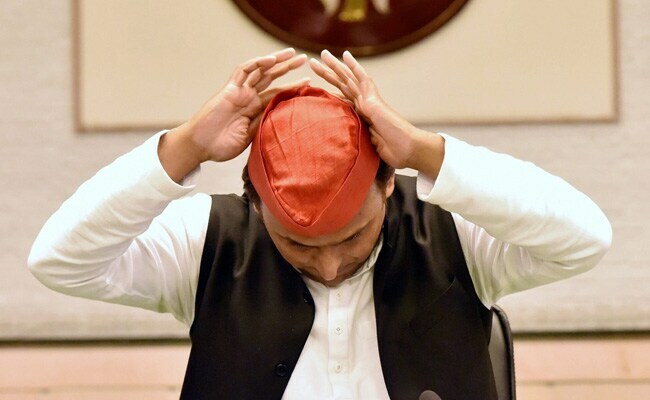 Lucknow: The former Samajwadi Party (SP) government led by Akhilesh Yadav spent over Rs 15 crore on programmes to distribute unemployment doles worth over Rs 20 crore, according to a report by the country's top audit body. The latest report of the Comptroller and Auditor General of India or CAG noted that this took place despite the flagship unemployment allowance scheme having specific guidelines that the money should be deposited directly in the bank accounts of the beneficiaries. The account details had to be provided by beneficiaries on their application forms for availing the scheme. In its 235-page report on the general and social sector tabled in the Uttar Pradesh Assembly, now in session, the CAG pointed out that the expenditure could have been avoided if functions were not held to distribute the dole. It stated that the state government launched the scheme in May 2012, saying that quarterly payment were to be made in the savings accounts of beneficiaries, either in a nationalised banks or in Kshetriya Gramin Bank. Records of the director, training and employment, Uttar Pradesh, revealed that the department distributed Rs 20.58 crore to 1,26,521 unemployed people as allowance by organizing functions in 69 districts during the year 2012-13. The report stated that Rs 6.99 crore was spent on travel of beneficiaries to places where the functions were organised, while Rs 8.07 crore was spent on heads like seating arrangement and refreshments. According to the report, the SP government spent Rs 8.07 crore on seating, refreshment and other arrangements for these functions in 2012-13, and Rs 6.99 crore on transporting beneficiaries to the venues. These cheques were given to about 1.26 lakh unemployed persons and at many venues were handed over personally by Akhilesh, the then chief minister. The state government, in its reply in September 2016, said the expenditure on distribution of cheques was done as per instructions. The state government had replied that though opening of accounts in nationalised bank was mandatory as per the scheme's guidelines, it was not binding to make the payment to the beneficiaries through bank accounts. The Comptroller and Auditor General, however, stated that the reply was not tenable as provision of transportation of such large number of beneficiaries was not envisaged in the scheme guidelines. The functions led to spending of Rs 15.06 crore which could not be justified and showed a lack of financial propriety and concern for saving public money, its report noted. "An avoidable expenditure of Rs 15.06 crore was incurred on organising functions to distribute cheques to beneficiaries of Berozgari Bhatta Yojna in 69 districts though the unemployment allowance was to be credited to the beneficiaries' bank accounts," the CAG stated in the report. The allowance scheme was initially started by the Samajwadi government of 2003-2007 under Mulayam Singh Yadav, with Rs 1,000 for each unemployed person within the age group of 30-40 years who had cleared high school. The initiative was for residents of the state registered at the employment office and with an annual family income of less than Rs 36,000. According to the CAG, the scheme was revived by the Akhilesh government in May 2012.